Located off the coast of San Blas, this National Park and Protected area has cliffs and incredible panoramic views of the Pacific Ocean, as well as an astounding wildlife. Isla Isabel is a nature sanctuary in Nayarit located in the municipality of Santiago Ixcuintla about 70 kilometers off the coast of San Blas in the Riviera Nayarit. Its subaquatic volcanic origin was believed to have taken place some three thousand years ago. Today it is a Biosphere Reserve as well as a National Park with mountains and cliffs that offer panoramic views of the Pacific Ocean. 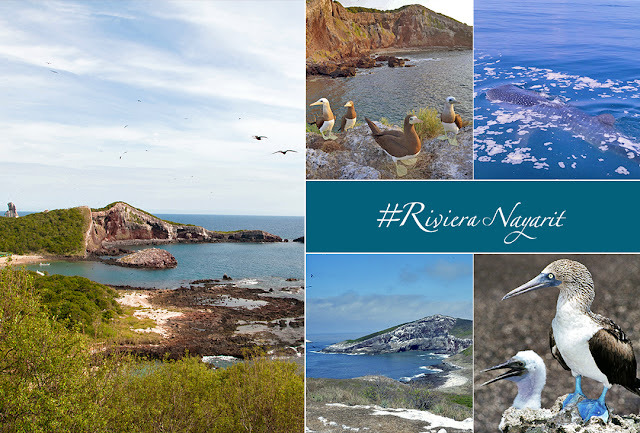 For travelers that value close contact with nature, Isla Isabel is a paradise with spectacular underwater landscapes and a fantastic diversity of marine species and birds extending across some two thousand square kilometers. This is home to the Blue-Footed Booby and the Yellow-Footed Brown Booty, although occasionally a Red-Footed Booby can also be sighted. 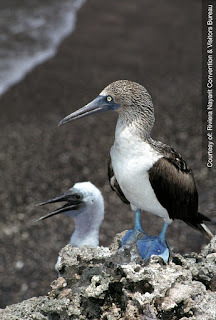 The most numerous, however, are the common frigate birds (Fragata magnificens). 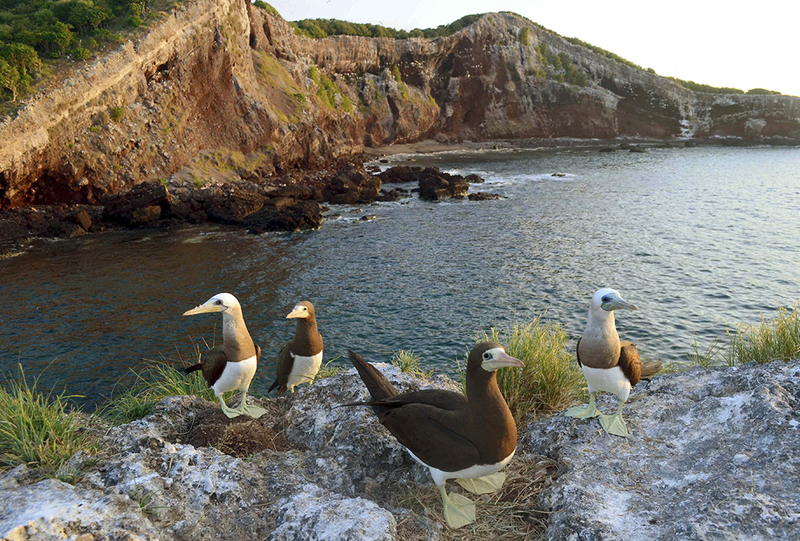 Many bird species depend on the island as their only nesting ground, which is why this place has become a refuge for these endemic species. The underwater life just as amazing: manta rays, humpback whales, the unique whale shark, and beautiful coral can be found here, as well as 79 species of fish—all awaiting recreational and professional divers. And there aren’t very many coral reefs in this part of the world, so this island a priceless treasure. 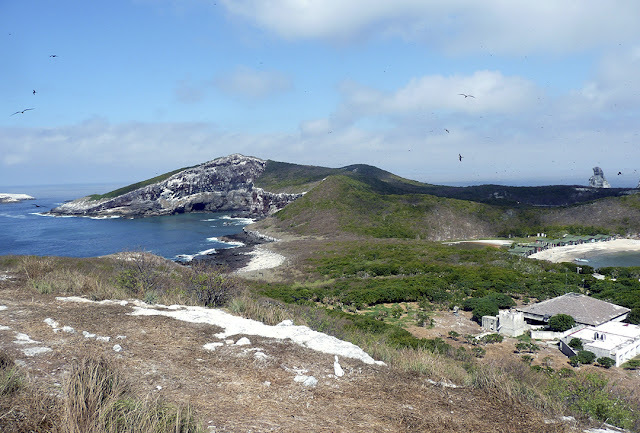 Isla Isabel was declared a National Park in 1980, a Protected Natural Area in the year 2000, and a Ramsar Site (a wetland of international importance) in 2003. The first man ever recorded to have set foot on the island was French sea captain Abel Aubert Dupetit Thouars (August 3, 1793 – March 16, 1864) back in 1863. The story of his visit can be found in his memoir titled Voyage Around the World Aboard the Frigate Venus. If you’ve already decided on visiting this Natural Protected Area, it’s important to know that because of its delicate natural balance visitors are limited to very short stays and only with a special permit, normally for only a day or two so as not to disturb the ecosystem. These permits are most frequently granted to birdwatching groups. Those who wish to overnight on the island must be prepared to use sleeping tents, but without disturbing the environment. Tours from San Blas to the island are operated by adventure companies such as Pipilas Tours www.sanblasfishing.com or Experiencias Ecoturísticas Mata (Ecomata) www.ecomata.com.mx, which offers itineraries and supplies to facilitate this experiences. It’s highly recommended you follow all the rules and regulations for the protection and care of the area. 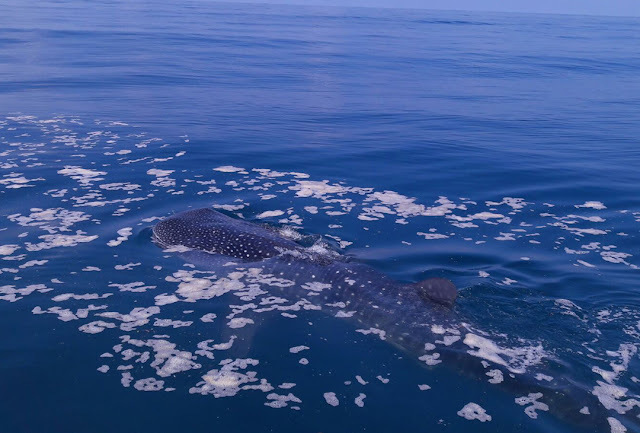 Among the top activities to be enjoyed are whale and dolphin watching, swimming with the whale sharks, hiking, birdwatching, sport fishing, snorkeling, star gazing, camping, and more. One of the most sought-after activities for thrill-seekers is a swim with a whale shark, considered the largest fish on the planet (some can reach up to 15 meters in length and weigh up to 13 tons). Even though their size is imposing they are completely harmless, since they feed solely on plankton. Swimming with these sharks is very safe and can be done from November through March. Isla Isabel is located 61 km northwest of the Islas Marías archipelago and 70 km northwest of the Port of San Blas by seas. The closest point to the reserve is the beach at Boca de Camichín in Santiago Ixcuintla. The Riviera Nayarit Convention and Visitors Bureau (CVB) and the Bahía de Banderas Hotel and Motel Association (AHMBB) work hard to promote the destination with the support of the Government of the State of Nayarit via the Tourism Promotion Trust. The offer of tourism products related to culture is an invaluable asset for these promotional efforts.